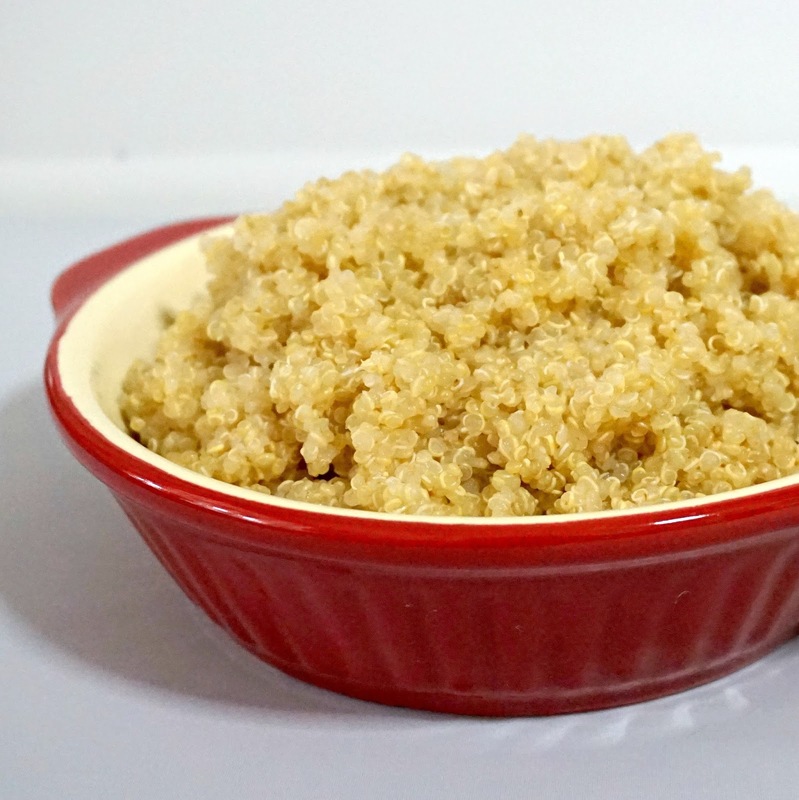 Quinoa pronounced Keen-wah is a healthy alternative to rice, noodles etc. It contains more protein and nutritional value compared to the other grains. It’s also a good source of calcium and other vitamins and minerals. 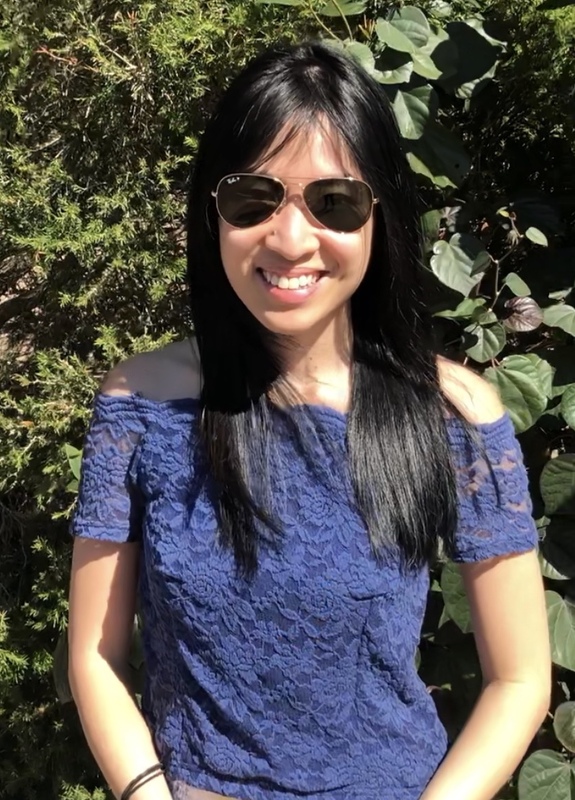 Not quite popular here in Singapore but it’s slowly gaining importance as more and more people are looking at healthy alternatives to incorporate into their daily diet. I first encountered quinoa when I was indulging in my usual salads. It looks kinda similar to sesame seeds but larger, more transparent and has a certain bite to it. It’s high in anti-inflammatory phytonutrients which lowers the risk of getting diseases. That said, it is also high in dietary fiber, a slowly digestible carbohydrate and ranks low in GI. 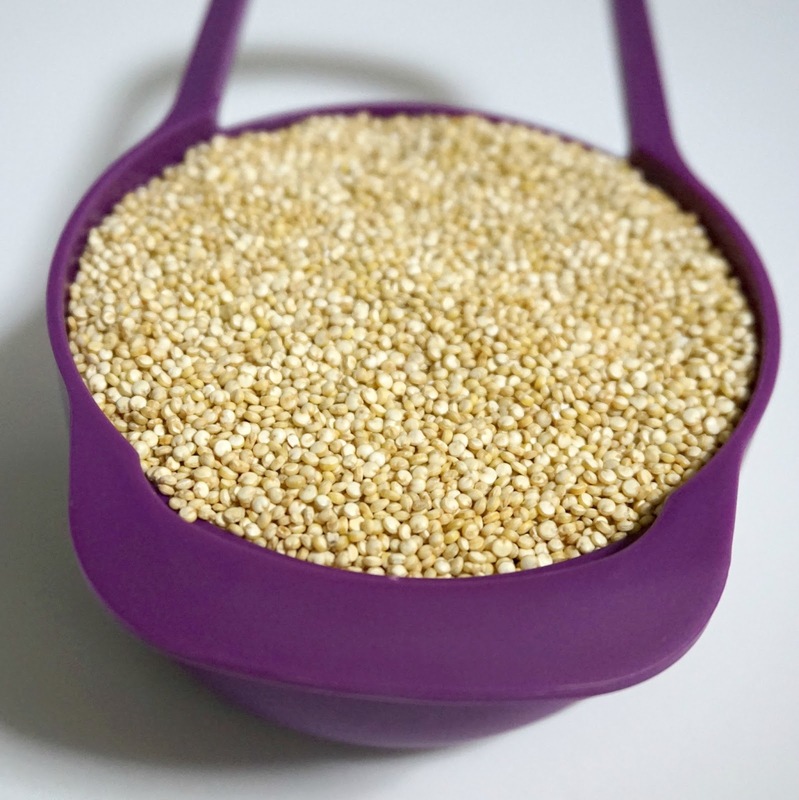 Quinoa has a compound that coats the seeds called saponins. If not washed off thoroughly, it can render the quinoa slightly bitter. 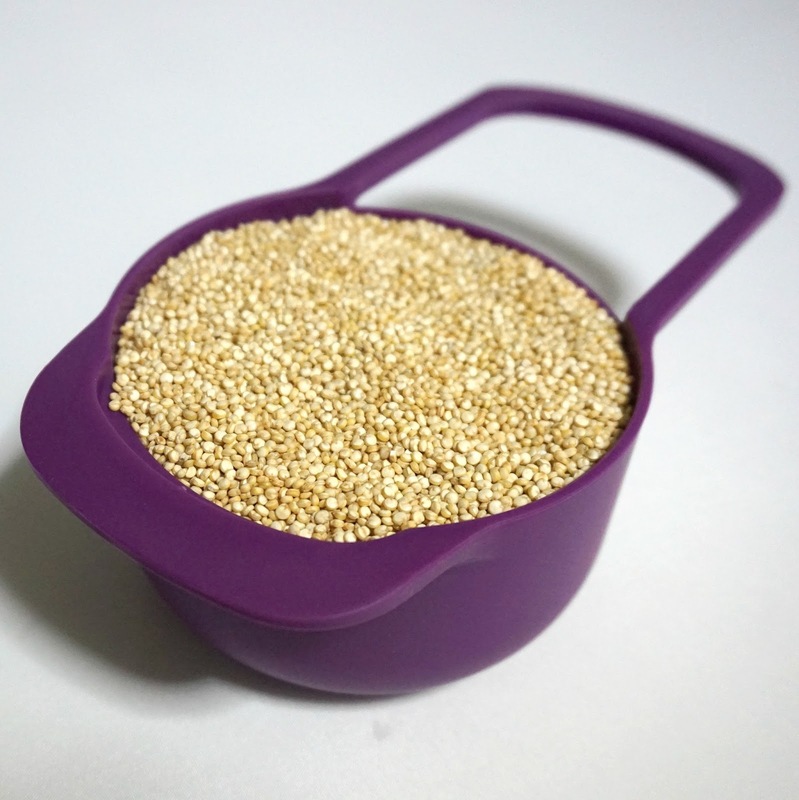 Thus before cooking the quinoa, wash the seeds in cold water before cooking them. 4) The quinoa should have doubled/ tripled in size. 5) Enjoy with salad, as a rice alternative or make quinoa patties.